Big Event Floral & Decorating Co. Comforting a friend was never easier than with our Stargazer Blessings Basket™. Soothing and uplifting oranges, pinks, whites, and blues say "my sympathies are with you" or "things will get better soon" without saying a word. 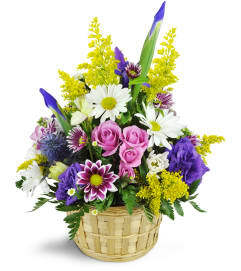 Irises, roses, a stargazer lily, and mini carnations fill an understated bamboo basket with sweet, fragrant blooms. 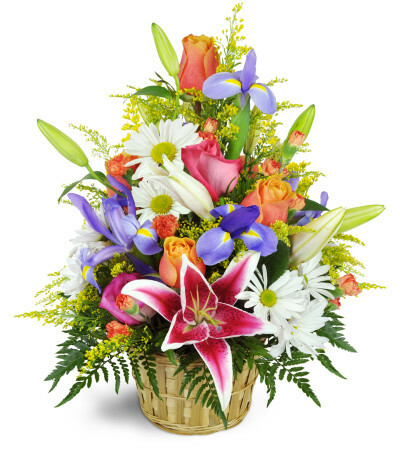 Stargazer lilies, irises, and more are expertly arranged in a bamboo basket. 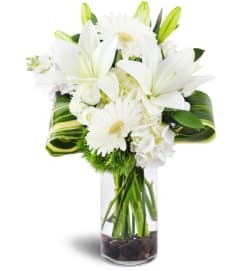 We ordered the flowers for our coworker for her birthday. They were better than the picture and were her favorites and the color was gorgeous. She was so happy and excited and thanked us many times. Thank you to Meredith and Faye for helping us make her day great. Great service! Friendly and efficient staff! 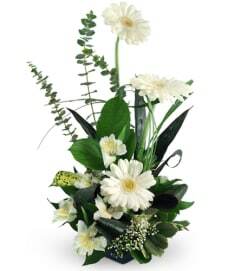 Big Event Floral & Decorating Co. is a Lovingly Florist in Fenelon Falls. Buying local matters. Discover how Lovingly supports local florists. Copyrighted images herein are used with permission by Big Event Floral & Decorating Co..